Brilliance has mastered understated elegance when it comes to men’s wedding rings. This Diamond Eternity Men’s Wedding Ring in White Gold is a great example, with its eighteen round cut diamonds on a choice of 14K or 18K white gold. The diamonds are channel set by rows of three on the high polished satin-finished band, creating a subtle sparkle with every movement. 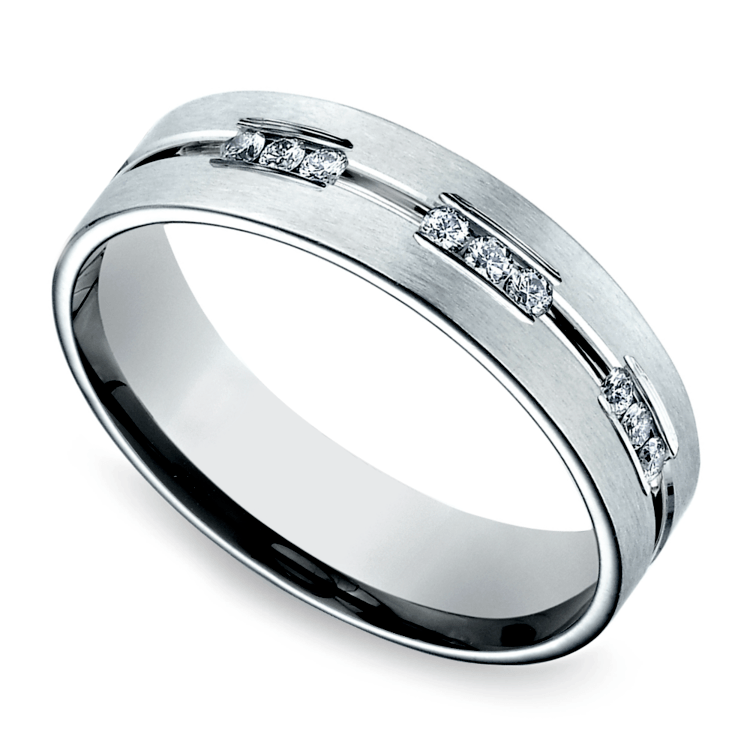 The company’s patented comfort fit makes this wedding ring a joy to wear every day.